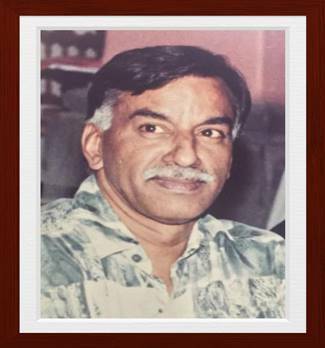 Mani Subramanian who died on 24 March 2019 was the first Fund Management and Administrative Officer of the Multilateral Fund Secretariat. Based on his experience, his knowledge of the United Nations system, and most of all his interpersonal skills, Mani had been selected to carry out a short mission to help establish and operationalize the recently established interim Multilateral Fund for the Implementation of the Montreal Protocol. He arrived in Montreal on 10 February 1991 on the same day as the first Chief Officer of the Fund, Dr. Omar E. El-Arini. Within a year of his arrival Mani had proved himself invaluable. The administrative and financial infrastructure of the interim Multilateral Fund was in place and the staffing structure of the Secretariat had been finalized. Mani played a key role in recruiting 11 candidates from all corners of the globe to bring the fledging Secretariat staff to a total of thirteen allowing the Fund Secretariat to begin its work. Mani thus played a key role in initiating the operation of the Multilateral Fund which was to remove barriers to technology change, incentivize industry to develop alternatives to ozone depleting substances, and assist countries to develop national goals and plans to switch to ozone friendly alternatives. Recognizing Mani’s value to the Multilateral Fund, then the Chief Officer strongly requested him to stay. Fortunately, he accepted and became the first Fund and Administrative Officer of the Fund Secretariat until his retirement in 2002. Establishing and operating a new Secretariat was not a simple task and required long working hours not only in the initial period but in the months and years that followed. Despite the demands on him, Mani always found time to solve any problem that was brought to his attention, no matter how small and simple or complicated it was. He always provided a sound, speedy solution delivered it with a smile. During his tenure, all members of the Executive Committee, the representatives of the implementing agencies as well as representatives from the Governments of Canada and Quebec respected and trusted him. Mani’s administrative and negotiating skills together with his selflessness, generosity, approachability and openness resulted in the infrastructure and operating systems of the Secretariat that we know today, and which are still the embodiment of the Multilateral Fund. The Multilateral Fund and its Secretariat owe their renowned success and stellar reputation to the experience, vision, demeanour and wisdom of our dear Mani. We are profoundly saddened by the news of his passing but remember our good fortune to know and love him. Each day we spent with Mani was a gift. Mani, our dearest friend and colleague, may your soul rest in peace. The Fund is dedicated to reversing the deterioration of the Earth's ozone layer. It was established in 1991 to assist developing countries meet their Montreal Protocol commitments. It is managed by an Executive Committee with equal membership from developed and developing countries. The Fund Secretariat in Montreal assists the Committee in this task. Since 1991, the Fund has approved activities including industrial conversion, technical assistance, training and capacity building worth over US $3.6 billion. The Multilateral Fund was established by a decision of the Second Meeting of the Parties to the Montreal Protocol (London, June 1990) and began its operation in 1991. The main objective of the Fund is to assist developing country parties to the Montreal Protocol whose annual level of consumption of the ozone depleting substances (ODS) chlorofluorocarbons (CFCs) and halons is less than 0.3 kilograms per capita to comply with the control measures of the Protocol. Currently, 147 of the 197 Parties to the Montreal Protocol meet these criteria. They are referred to as Article 5 countries. The Multilateral Fund is managed by an Executive Committee with equal membership from developed and developing countries. The Fund Secretariat located in Montreal, assists the Executive Committee in this task. Projects and activities supported by the Fund are implemented by four international implementing agencies. Contributions to the Multilateral Fund from developed countries, or non-Article 5 countries, are assessed according to the UN scale of assessment. As at 7 December 2018 the contributions made to the Multilateral Fund by some 45 countries (including Countries with Economies in Transition or CEIT countries) totalled over US$ 3.89 billion. The Fund has been replenished ten times: US $240 million (1991-1993), US $455 million (1994-1996), US $466 million (1997-1999), US $440 million (2000-2002), US $474 million (2003-2005), US $400.4 million (2006-2008), US $400 million (2009-2011), US $400 million (2012-2014), US $437.5 million (2015-2017), and US $500 million (2018-2020). The total budget for the 2018-2020 triennium is US $540 million: $34 million of that budget will be provided from anticipated contributions due to the Multilateral Fund and other sources for the 2015‑2017 triennium, and that $6 million will be provided from interest accruing to the Fund during the 2018–2020 triennium. The Multilateral Fund has also received additional voluntary contributions from a group of donor countries intended to finance fast-start activities for the implementation of the HFC phase-down. As at 30 November 2018, additional voluntary contributions stood at US $25,513,071. Since the inception of the Fund, the Executive Committee has held 82 meetings. During these meetings, the Executive Committee approved the expenditure of approximately US $3.77 billion for the implementation of projects including industrial conversion, technical assistance, training and capacity building that will result in the phase-out of 468,128 ODP tonnes of controlled substances once all these projects have been implemented. As of the end of December 2017, 488,909 ODP tonnes had already been phased out. To facilitate phase-out by Article 5 countries, the Executive Committee has approved 144 country programmes, 144 HCFC phase-out management plans and has funded the establishment and the operating costs of ozone offices in 145 Article 5 countries. The Executive Committee has also approved a total of US $33.6 million for projects for fast-start implementation of the HFC phase-down. The 83rd will be held in Montreal, Canada, from 27 to 31 May 2019 . The 84th meeting will be held from 16 to 20 December 2019 in Montreal, with the option of a back-to-back meeting with the Thirty-First Meeting of the Parties to the Montreal Protocol, from 11 to 15 November 2019, with a final decision to be made at the 83rd meeting. The 85th meeting will be held from 25 to 29 May 2020 in Montreal, at a venue to be determined. Tentative dates have been set for the 86th meeting from 2 to 6 November 2020, in Montreal. See the Ozone Secretariat website for further details and confirmation. A web based data entry system based on the country programme format for use by national ozone units is available at: www.multilateralfund.org/cpnew. In the event that it is not possible to use the web based form, country programme data should be submitted using the data reporting forms in Microsoft Excel format for the appropriate year which can be downloaded from the Countries section of this website.